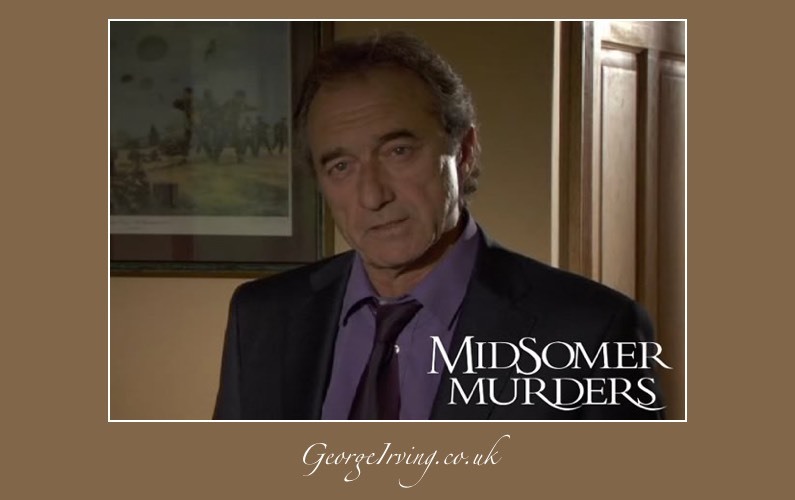 George starred in an episode of Midsomer Murders, series 14 episode 7, A Sacred Trust, broadcast on 26 October 2011 on ITV1 and ITV1HD at 20:00. The series is also available to download from iTunes on a per episode basis or with a season pass. When a nun is strangled to death in the cloistered world of Midsomer Priory Barnaby and Jones are faced with an investigation involving teenage trysts, missing antique silver, African art and holy orders. Jones visits the local pub, where he learns that a woman was seen acting strangely on the day of the murder, and that teenagers in the area sneak into the priory grounds for romantic liaisons. Later, the nuns discover that a valuable silver altar set has vanished, then the chaplain is found murdered. Can Barnaby and Jones work out the connection between the holy orders, the missing silver, the African art and uncover the killer?